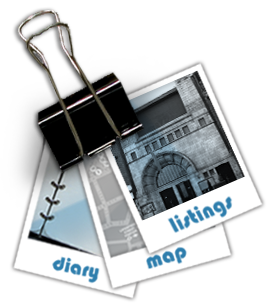 Download brochure of listings, map and diary. View the 2010, 2009, 2008 or 2007 website. Win two tickets to the Sony World Photography Awards Ceremony and a day of mentorship with a leading photographer from the World Photographic Academy at the World Photography Festival in London in April 2012.
photomonth and the World Photography Organisation have teamed up for the third year running to create an exciting competition for young photographers. This year the theme is CHANGE and we want young photographers to explore ideas capturing this. Our world is in constant flux and changing before our eyes. What does change signify to you and how are you affected by it. THINK Community | Culture | Family | The Olympics | Cities | Suburbia | Population | Species | Environment | Politics | Religion | Fashion. Five finalists will be selected and exhibited during photomonth east london in November 2011 and the public will be invited to vote for the winner. All five finalists win a day of mentorship at the World Photography Festival, and one overall winner will also attend the Sony World Photography Awards ceremony. Entrants must be 11 to 19 years old and resident in the UK. Up to three images may be submitted per entrant. Deadline for submission extended to 18 October 2011. The winner will be announced in December 2011 and receive their Award in April 2012 at the World Photography Festival.